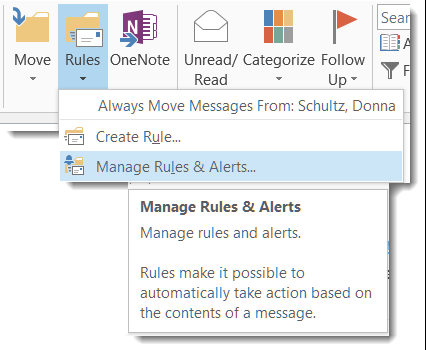 When you set up this type of a mail rule, you’ll get a pop-up dialog box in Outlook when an email arrives from a specific person or group. You can then open the email from that pop-up. Keep in mind that this only works from the Outlook client, and you have to be running Outlook at the time the email arrives for this to work.